It is very important to be able to analyse if your website content is readable by a person and will they be able to access the content without facing compatibility issues. From a technical point of view, the accessibility to a website is very critical i.e. can the search engine crawl the content of your site digitally? So first step is to do a website review – A site audit will give you a Manual readability and technical accessibility rating. A starting point for your online optimization action plan. Design and place the right content with the right set of words [Keywords] with in your website – URLs, tittle, page description, and paragraph structure. Think like your prospective customer - what search term would they be using for finding information on the product or service you offer. Be careful not to over crowd the page with same words, its frowned upon by the search engines and called keyword stuffing. Put out the word of you website by having other people writing and talking about your site and services and have the written content linked back to your web site. You can sign up with local online directories to improve back links. Do not use back link farms and non-related sites links. This is technical part of SEO – make a map of your main pages you want Google to index, it make it easier and faster for the search engine spider to find and search your site. Flash is a nice piece of technology and makes you website look good, however it’s not good for your SEO. Things like frames, flash and Ajax are not recorded by the search engine spider and have a negative aspect for your SEO ranking. If you must use these tools then place the links below the fold. 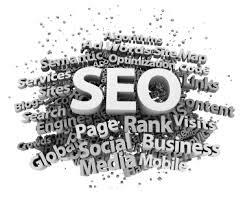 This is the silent star of the SEO building, it helps build your brand awareness as well as direct traffic to your site. Critically it improves your online footprint to grow your network. Best way to explain this is, for example you’re a software developer and specialize in financial software called finpower for the loan market. Your perspective customer probably would like to know how much does it cost, or what sort of equipment [Laptop, server] they need to host the software. By answering questions you help your sales pipeline and make yourself an authority on the topic, giving reason for potential customers to come to your website, which in turn improves your ranking.